They felt like family, and for me there was a sense of relief in that too. Like it's hard to put a finger on it but I think a good analogy would be like finding people who speak the same dialect as you. Like I've been trying to speak [my last name] all these years and it just never came naturally to me and it was always a struggle and I didn't know why. Then I find out it's because I was speaking [donor's last name] the whole time and discovered that talking to them is so much easier and intuitive in a way I haven't experienced before. Donor Siblings: Our "Spreadsheet Moment"
Dibling-Dumpling: Terminology and donor-conceived people. We met a sibling today! If I hadn’t taken this picture myself, I don’t think I’d be able to tell which hand is my son’s and which is his sister’s. Sister let us know she didn’t care for “half.” So they are “brother” and “sister.” Thank you so much, Wendy! These were the first people we matched with on the DSR about five years ago. Such an incredible gift for all of us. It's much more than just a "donated cell". A donor-conceived girl turns 18 and makes a profound statement with a new tattoo. "Over the past several years we have connected with my son's half siblings and their families. If it weren't for you this would not be possible. From the bottom of our hearts..... Thank you, thank you, thank you!!" "Wendy thank you so much for all you do! We had such a wonderful time together! All four families got together and stayed at our home in Round Rock Texas, it was amazing to watch our kids act so natural together. We truly are a family. All of us talk daily. It’s amazing. Wish I could put into words how much this has changed our lives for the better!" "We all had an amazing time swapping stories and playing our donor's recording from the cryobank. We are just all really grateful for your website and that it opened up so many doors to this loving extended family we all have now! We're the 610 kids ... 19 so far !" Two half-brothers meet (and wrestle). This is Jonathan and Liana. They are donor siblings from Xytex donor AGL 9354. Liana is 17 and Jonathan is 15. Lexie and Hunter meet for the first time! Lexie and Hunter with half brothers Briley and Jake! Lelani and Wendy meet: "57 years old and meeting my half-sister for the first time". 3 half siblings meet for the first time. Twins (on either end) meet their 2 half siblings for the first time. Kendall with some of her half siblings, and the moms. It's never too late to look for (and find) half siblings! We have donor conceived people on the Donor Sibling Registry born all the way back to the 1940's. Here are two half sisters, both born in 1973 who connected in 2015. I'm 43 and I just found out that I am donor conceived this past year. My sister is 42. This picture is from when we got to meet this past September. This problem has been melting away quickly of late, and things are very clear now, like a light has been switched on. Secrets are felt viscerally, even when they aren't explicitly known, which is why they can be so toxic. And to fully build out who you are, you need to know where you came from. It's easy for those who don't know what this is like to take what they had for granted and tell you to get over it because "all that matters is who you choose to become." But there's a primal need in all of us to understand our roots first (at the parental level) - before that can happen - like a psychological foundation for individuation. I've had an incredibly fortunate and privileged life and loving parents, for which I've always been grateful, so this isn't me bellyaching in a spoiled way. It's just that some things can't be replaced by a nice lifestyle or all the love in the world. Humans are weird, with all our specific needs. Wish it could be simpler. Genetic uncertainty has clouded my life since I was twelve years old, when I learned that my conception was facilitated by an anonymous sperm donor and artificial insemination. Though the shock dissolved in the following months, I’m reminded of this obscurity entwined in my DNA when I’m asked to fill out a medical history form at the doctor’s office and have to indicate that, genetically speaking, half of my family tree remains in shadow. So, since I'm being prompted to remark on my thoughts on National Sibling Day, here's this from a sibling-without-her-siblings: I'm currently drinking tea out of my Sisters By Heart mug that my best friend gave me a number of years ago. I'm grateful for her and a number of good, close friends that I may or may not see or talk to often. But that's it as far as what I can count on for siblings, even though I know I have half-siblings out there. Will I one day know them? While I can maybe learn who my biological father is at some point, I can't ever count on finding them. I wish. I wish I wasn't forcibly blocked from them by an unregulated medical industry that believes it depends on anonymity and deception, along with a number of other unethical principles it abides by. One day, perhaps there will be justice for us. And, perhaps, one day, parents will actually tell my fellow donor-conceived people, including my half-siblings, of their true origins. Whether or not those DC people begin their own searches is up to them, but until then, there's almost not other explanation for why so few of us are actually looking for each other. Please, siblings...don't let me be the only one forever. I was conceived by a donor egg in 1988. My mom says she does not remember any of the basic information about the egg donor (ethnicity, medical history, etc). I have called the clinic where I was conceived multiple times, left messages and never gotten a response back. The only information I have is the serial number of the petri dish I was made in, because the clinic gave my mom the petri dish as a souvenir. I am G**80. I got that number tattooed on the back of my neck, I guess it was my way of trying to re-establish control and ownership of my own body after I had been told I had no legal rights (seeing as I was the product, and not one of the people involved) to my own genetic history and information. I love my mom and her family, but it has always been extremely obvious that I do not share genetic material with them; aside from physical appearance, we have absolutely nothing in common in terms of shared interests, aptitudes, dislikes, taste or personal traits. We are polar opposites to a comical degree. 2014 survey responses from 305 donor-conceived people: We asked: What would you like other people considering using donor gametes or donated embryos to know that you have learned? In the late 1990's, I found out that I might have hundreds of half-brothers and sisters, the offspring of an anonymous man who, half a century ago masturbated into a cup and made a gift of his sperm to a host of women, one of them, my mother. This film is the story of my search for this man, and as many of my siblings as I can find. The film was nominated for an Intl Emmy, a Grierson in the UK and won the Donald Brittain award in Canada, among other awards. It was seen in 60 countries and may have had some influence on public policy on sperm "donor" anonymity. Some aspects of it seem dated, but I think it's still a pretty good film. Just imagine being 20 something and finding siblings on your own when DNA testing is even more wildly popular, or they find you. You then develop some kind of relationship. You find that many of these siblings had parents who encouraged these relationships, even from babyhood. You see the pictures, you hear the stories. Disney, camping, birthdays... A couple of them will be roomies in college, maid of honor in a sibling wedding, etc. To me, this would be crushing. I would feel so cheated. Whether or not I had great neighbor pals, awesome cousins, or even siblings from the same home. A family that is lying to a child about parentage is, by definition, not stable. The truth is always out there, only one internet search or blood test away from being exposed. Like adultery, like the closet, this lie is toxic to families. …it is not okay to lie to a child about who his parents are for 10, 20, 30, 40 or 50 years. Infertility treatment exists because genes matter. People sue each other because genes matter. People take their own children home from the hospital because genes matter. Love matters too. But genetics mattered to our parents and they matter to us. Stop lying about it. "The online resource boasts more than 51,000 members and claims to have helped unite more than 13,000 half-siblings and donors. 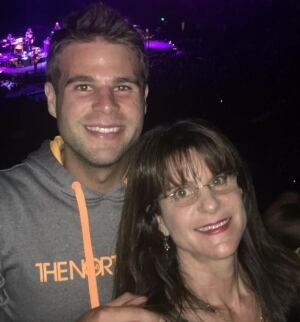 Wendy Kramer and her son Ryan started the Donor Sibling Registry after Ryan began asking questions about his origins. "For Canadians, I think it's really important to be on the Donor Sibling Registry, as that's the one point of contact," Kramer said. "U.S. sperm banks ... claim on their websites that they ship to 40, 50, 60 countries around the world." "Kramer said she's tried to get government agencies to pay attention." "We've gone everywhere and asked for help. We've gone to senators, legislators, the National Institutes of Health. We've gone to the Surgeon General, U.S. Federal Drug Administration, everywhere. And nobody wants to help." I just found my half sibling this year. I am 29 years old and wish I could have known him my whole life. It is really special. I'm so thankful to have found him. We met a couple months ago it was like we have known each other all along. Today I found my younger half brother and am absolutely thrilled! I contacted his mother and hopefully we can start a correspondence and maybe even a relationship. I am so happy that DSR has enabled me to find my 'other' family! I was brought to tears when I saw my donor's ID on this boy's post and I am so excited that I finally found him! Thank you so much DSR! Five years after first connecting on the DSR! Since joining this site I have found two siblings. We have since shared a number of e-mails and have gotten to know each other more. It's amazing how much we discovered we have in common and look alike. "I am an only child with five siblings" is what I said to my mom when in March 2006, I was informed that I have five biological brothers and sisters. I was eleven years old and hearing that fact blew my mind. How do I have brothers and sisters? Why wasn't I told about them until now? Who are they? Where are they? All these questions raced through my mind as my mom was telling me the details." Awesome family reunion with about 20 siblings and their donor dad! Best family ever! "I am 13 years old and in 8th grade. My name is Lauren and I am also a twin. I found out about a month ago now that my dad wasn't my real biological dad. I was shocked at first but then the next day I was excited to tell my friends the news and curious about the donor and what he looked like. I know that my dad is my real dad and will always be, but I still wanted to do some research about the donor. That night I sat on the couch with my family and we all went through the packet about the donor. (heritage, looks, health... etc.)" Continue reading Lauren's story: I am 13 and just found out. "When I signed up with the DSR a year ago, I did it more with the hopes of finding information about my donor, than with any thoughts of actually finding a sibling. After all, I'd be conceived in the late sixties, well before the existence of sperm banks with registered donors. At that time everything was very secretive, with absolutely no information given to the parents. When I got to the DSR, I was the first person to create a listing under my mom's doctor's name, from New York City." Continue reading this amazing story of older half siblings connecting: Never too old to find a match! At 27 years old, finding a brother has been both exciting and a little scary at first... I'm already a 'grown up', with opinions and likes/dislikes fully formed, who now has someone else out there with similar traits, that has my same DNA coursing through his body! Stacy and Chris allowed their meeting to be filmed by Oprah - not a dry eye was in the house when the piece aired in 2008. More from Stacy about her experience: A "Twin" Brother! Six half-siblings ages 17-19 having a summer rendezvous: one of several get-togethers they've had over the past 4 years. A summer "bro-down show-down": they're 18 and 16 and have known each other for 3 years. 2015 Picture of Cayley and Jannah. They met for the first time and took a picture in front of the Christmas tree at Rockefeller Center. Do you have advice to parents about connecting with half-siblings and/or donors? "Being an only child my whole life and knowing there might be some siblings out there was always in the back of my mind, but I never knew there was a chance to connect with anyone from my father's side of the DNA strand. Now that I have, it's a lot like having siblings without the sharing the bathroom and clothes aspect of actually living with them, and I love it. I talk to at least one sibling everyday, there's just too many to talk to all of them everyday. It's a good thing. I thought it was cool to meet and have more sisters. My mom didn't want more than two kids all by herself so this was her way of giving us more. It's sooo cool!" "Don't be nervous, we're not trying to replace you, we're trying to find us." "I don't think that children could forget about or have a lesser opinion of their parents after meeting their donor. Kids know that the people who are important in their lives are the people who have always loved them. I think that knowing a donor can only add to the number of loving adults in a child's life. The donor will never substitute anyone. I feel that by meeting my donor that I have added to the wonderful family that I already have. And the parents will always be there to support the child if meeting the donor was disappointing in some way." "There's nothing to be afraid of! Just because your child has expressed interest in discovering more about themselves doesn't mean they'll love you any less. In fact they will most likely be very grateful to you for supporting them in this desire." Do offspring feel there's something missing from not being parented by a father/male figure? "Not having a father, especially as a boy, was tough at times. I definitely feel like I could have benefited from having a father figure and would have liked one but I had the benefit of Big Brothers which helped." "I've been curious as to what it would be like to have a father, but I do not feel like I have missed anything." "I was always envious of my friends who depended on their fathers. Though I didn't have a father, I think my relationship with my mom is stronger than others." "My mom was married when I was conceived but was widowed before I was born. It's been a life journey to discover how to be a man on my own. From big things like how to handle masculinity, how to behave toward girls, and attitudes about life, to practical things like how to shave or tie a tie. I couldn't be happier with my life or who I am, but yes, it's taken a lot to come into my own as a man." "When I was much younger, I was certainly confused about my nontraditional family. I was also just told that I 'just didn't have a dad' until about age 13 and was certainly curious, but I've never felt like there was something missing. Even after hearing from my donor and seeing his photo, I'm so obviously the product of solely my mother (internally and externally) that I've never needed to search for where some strange, inexplicable part of me came from. I have a far better relationship with my mom than many kids have with either parent, and I think much of that came from her being a single parent." "Girls are supposed to be close with their fathers. I see fathers walking their daughters down the aisle, fathers threatening potential boyfriends, father-daughter bonding times, and I can't help but feel like I missed that." "I have had four (female) parental figures since age eight, so I have always felt very supported and loved. There was a short period during my childhood when I wanted a father figure, but in general I have not felt something was missing." "I feel all my needs are met by my two moms. I would just like to know more about him and his family and would like for him to know that I exist." What advice would you give to parents considering donor conception? "Be open about it from day one with the child and it will just seem normal to them. I'm a strong, successful, happy, loving man with a beautiful life and beautiful family. This doesn't define who I am any more than my hair color does. I do think a healthy family life is important (whether donor conceived or not) so that shouldn't be in doubt, but being donor conceived isn't a problem at all. I personally believe that children are best raised by a mother and father, but I'm an example of a child of a single (widowed) mom. I've had some challenges because of that, but I'm still thriving and very happy. As far as I'm concerned, I have a family that loves me just the same as anyone else." "Think about how this will affect your CHILD, not just you. You are making a choice for them. Try to have a father-figure or mother-figure for them to guide them or set an example of what their expectations of men and women should be. Come to terms with the fact that your kids may want to meet their donor one day and that you need to be supportive of their desire to do that. Otherwise, consider other possibilities for having children." "Just be honest with your child from the get-go. I've known my whole life and though it's been painful at times it has never been a really big issue for me. In fact, I frequently "forget" for weeks or months." "I think it would be good for those considering donors to be able to talk to children who were conceived via sperm/egg donation and get their opinion on it. They may say they love their parents but they all admit when they meet their biological parents, they feel complete." "The matter of using a donor for conception goes much deeper than a matter of conceiving and genetics. People carry a great deal of meaning from their origins, family, and genetics, even though it may not seem logical to you when you want a child so badly. If you do plan to use a donor, please raise that child with honesty about their origins. Finding out as an adult is very painful and difficult, however, knowing your origins is a matter of dignity and should be available to all." "I would say please, please, please be honest with your child about their origins from day 1. It is the right and best thing to do. My parents never told anybody that they'd used a sperm donor but the truth still came out eventually. I can't tell you how big a shock it was to discover at the age of 25 that the man I think of my dad isn't my biological father." "I would tell them if it is at all possible to please use a known or willing to be known donor. I wish so much that I could meet and know my biodad, or at least have a photo of him." "I would advise them not to hesitate to use donor conception, and that a family can be just like any other. I would advise them to be open with their child about their origins from a very early age - so early that they have no memory of being told and it is just a simple fact of life. I would encourage them to communicate to their children how special and wanted they are. I would also suggest that they have at least minimal medical, family, and ancestry information in case the child wanted it in the future. Photographs would also be nice. I would encourage them not to be threatened or worried about providing information to the child as they get older. They should understand that not everyone wants a relationship with biologic parents, but that information about one's origins is essential to identity." John's story: A 53-year-old donor-conceived man tells his story of finding our that he is donor-conceived later in life: "My initial reaction was one of exhilaration - finally everything made sense. My second reaction was that nothing made sense - the bottom was dropping out of my life." "As anyone in the mental health field should know, decades and decades of adoption research has taught us that secrecy in families causes damage. It has taught us that learning that your parents are not your parents late in life wreaks havoc on your basic sense of trust. Most of all, adoption has taught us that genes matter. They don't matter more than love. I never said they did. But I challenge you to find an adoption professional in North America today who would tell you that genetics is irrelevant in family creation. Genes matter -- today more than ever. Genes matter to donor families. These families have specifically pursued infertility treatment rather than adoption. The fertility industry *exists* because genes matter. Allowing people to pass on their genetic material is what fertility treatment *does*. It amazes me that genes can matter to the families and doctors you serve and yet both you and Allison Rosen can't believe that they also matter to *me*. 2011 BioNews: The Birth of Donor Offspring Rights in the USA? 2017: From the author of a new article on donor-conceived people: "Please find attached a recently published article dealing with the perspectives of donor-conceived individuals on the importance of access to identifying donor information prior to the legal age of maturity in Ireland. It has been published in the Irish Journal of Legal Studies, an Irish peer-reviewed law journal, and may also be accessed at the following link: http://ijls.ie/2017/05/18/the-children-and-family-relationships-act-2015-and-disclosure-of-genetic-origins-information-to-children-donor-conceived-perspectives/. I would like to thank you sincerely yet again for all of your assistance during the research process." "I'm not looking for a new Dad. I have a Dad," she said. "He's the best Dad I could ever ask for. I'm just looking for a part of myself and I'm sure there are lots of people out there doing the same." 2017: Clarin (Argentina's largest newspaper): An interview with Ryan Kramer. "Hay que abrir toda la información a los niños sobre cómo fueron concebidos" English Translation: "You have to open up all the information to the children about how they were conceived"
2016: CBC News: Canadian Sperm Donor Registry Long Overdue, "I always wanted a sister:" Offspring with same sperm donor meet for the first time. 2014 The Guardian: My dad was a sperm donor. My lack of identity reflects this. "Donor-conceived" is a clumsy term, because, in relation to me, the man in the clinic was not a donor. He gave something to my mother, but nothing – less than nothing – to me. He is, or was, my father, but by co-operating with my artificial conception, he deprived me forever of the possibility of knowing him. I do not know his name, what he looks like, what his personality is, what his voice sounds like. I do not know my paternal grandparents, my aunts and uncles, my cousins. 2009 Queensland University of Technology: A Critical Analysis of Sperm Donation Practices Joanna Rose's PhD thesis presents a critical analysis of donor conception practices from a child-centred perspective. It examines the personal and social effects of intentionally disrupting the unity of biological and social relatedness. Important implications are drawn from this analysis, which challenge the deliberate fracturing of kinship for the offspring. Comparisons are drawn with adoption experience and the stolen generations regarding kinship loss to help to guide and inform future policies, laws and responses to this practice and other types of reproductive technology developments. 2007 Behind Closed Doors: Moving Beyond Secrecy and Shame: When the Children Grow Up A chapter written by Karen, a donor-conceived woman and mother. 2001 Queensland University of Technology Applied Ethics Seminar Series: From a ‘bundle of joy’ to a person with sorrow: Disenfranchised grief for the donor-conceived adult This paper examines of the notion of disenfranchised grief for donor-conceived adults. "…my son was on the DSR 9 years before his donor sister signed up so hang in there, it can happen anytime. He did not feel like he was missing anything before they connected but he sure feels like he found something. Both our families feel very enriched. " Hannah and Radar, half siblings only three weeks apart in age!